Competitive Edge are delighted to offer the excellent BBY-SBAS-301 Crown Sporting Goods Outdoor Galvanized Steel Chain Basketball Net. On your outdoor basketball field you need a strong and resistant basketball net that can withstand weather and that can last long in time. We strongly recommend you Crown Sporting Goods Outdoor Basketball Net BBY-SBAS-301 from Brybelly Holdings, Inc. it is made of galvanized steel chain and it will not rust, tangle or break. It is ideal for sport clubs as well as for home use. 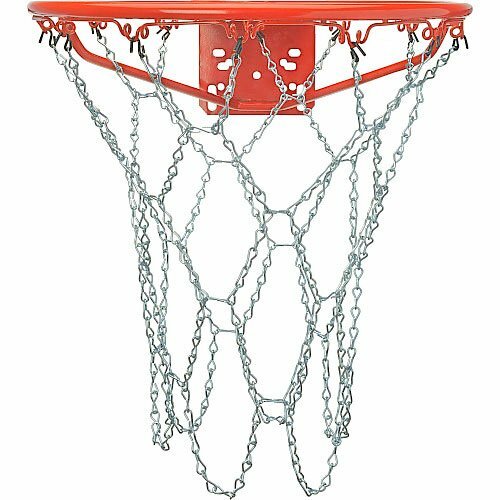 If you have an outdoor basketball goal and want a net that will last, this galvanized steel chain is the perfect solution. Constructed from heavy-duty materials, this zinc-plated net can withstand even the most adverse outdoor conditions without rusting, tangling or breaking. Galvanized steel nets are ideal for outdoor courts, parks, recreational sports clubs and at-home use. Each net is made to fit a standard-size rim and the "S" hooks needed for attachment are also included. 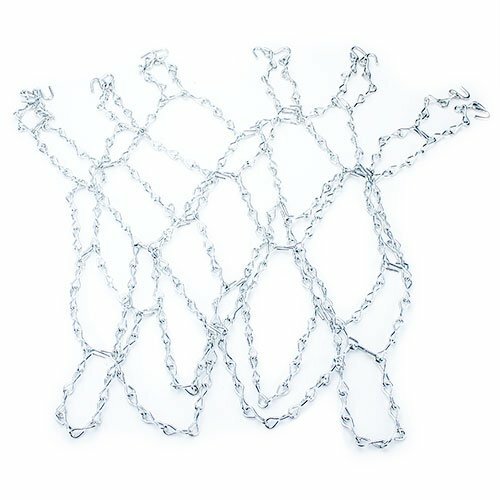 Made for long-lasting fun, this chain net is durable and efficient. Take your game to the next level with this zinc-plated, galvanized steel chain basketball net.